I remember this from my childhood, the great experiment to see if we could inhabit space under domes, live completely contained lives under glass. The great (although flawed) experiment here, here! Just outside of Tucson! They couldn’t do it the way we hoped, the way I had read about in those Daw paperback novels with the yellow spines and the library’s mark of the atom, but the Biosphere II experiments taught so much…I remember the faces of the eight scientists who lived here for two years as seen through this glass. Way back between 1991 and 1993, way back. I also remember them being a bit too celebrity-like, especially the women, looking at this picture I can see why I might have thought so. Yet all these years and I had never managed to visit — I even drove all the way up here once with my friend Samantha, but it was too expensive. Worth it? Yes, but too expensive when we just didn’t have the money. Too many things are that way in this country, rather damaging to many of the potential scientists out there. But I digress. I confess I wasn’t too impressed by the presence of a lawn in a place studying sustainability, but I love the futuristic style. Back down a floor to the original crew quarters, it now hosts some awesome exhibits — a crazy mix up of science, science fiction books and film, casts and models and stamps. They include methane ice worms, the flower shaped ecopolis sitting sustainably (perhaps) on the ocean. 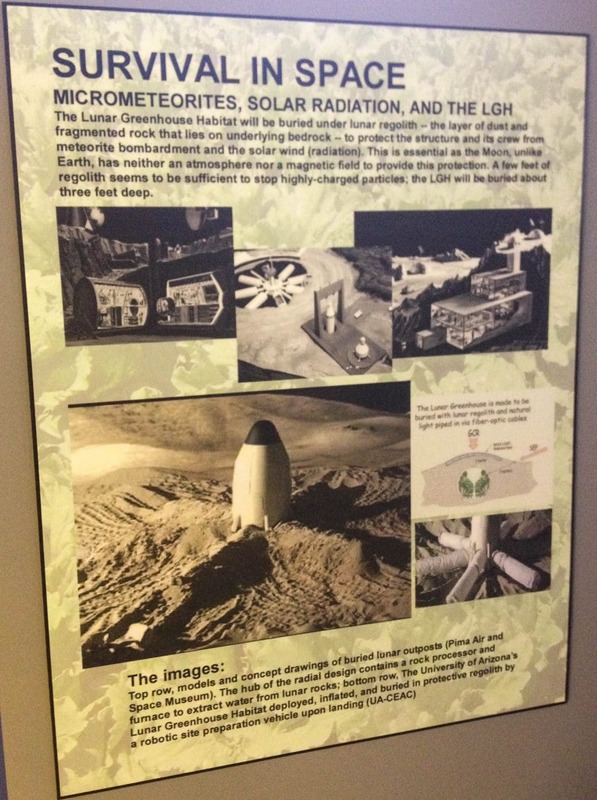 But first one of my favourite things — the Lunar Greenhouse Habitat. Another experiment with a closed system (much smaller — much of the Biosphere’s appeal is just the scale at which the experiment was conducted), growing plants using hydroponic systems on carbon dioxide from human waste and respiration, along with other inputs from composting, harvesting and other waste. Very cool. The plants they are growing here? Cow peas, lettuce, sweet potatoes and basil, with a recent decision to include strawberries (these are from NASA’s approved list, for more from NASA on space gardening, go here). Humans have been thinking about this for a while, though I think if flights of imagination in fiction were allowed, this timeline might stretch back much further than 1960 — I shall have to look into that. Any such garden would almost certainly have to be buried underground — I love how much thought has already gone into what would be required to live on the Moon, or Mars. ‘We are not gardeners’ said one of the employees in the rainforest dome. The first experiments were to see how much could be grown, how to keep things alive. Now they watch to see what dies and what survives, attempting to trace the complexities of ecosystems by leaving things alone unless they threaten the structural stability of glass and metal. I don’t know if I could do that, I love gardens. I also loved walking in the belly of the beast, seeing how things worked underneath in the service tunnels — somehow this is where it felt most spectacular, came most alive in giving a sense of what it would be like to live and work in such a domed world. 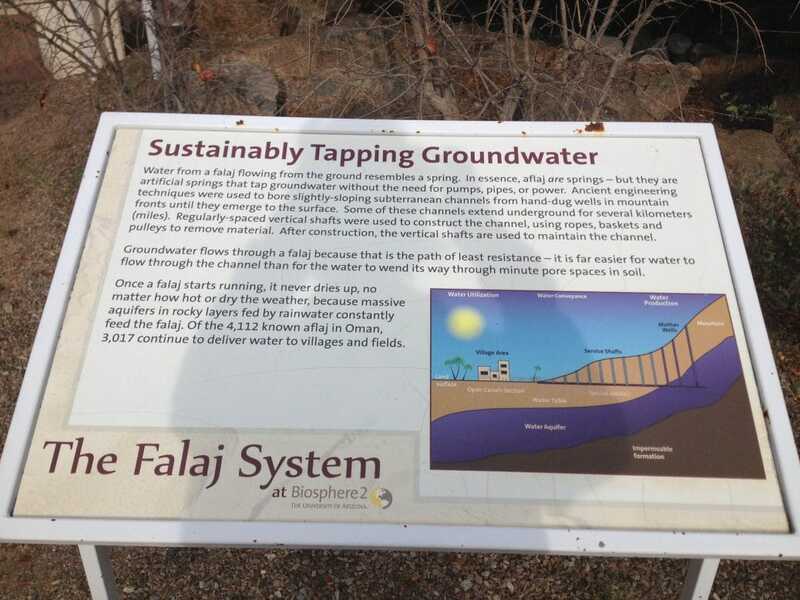 There was an awesome, if small, display on the Arab falaj, or irrigation system, that works much like acequias (I think this is some of the heritage that Spanish settlers brought with them to the Southwest if I am not mistaken). Ingenious in their engineering, they also define town planning, with the Mosque closest to the water source to ensure the water’s purity. The last stop is at the ocean section, where they tried to create a coral reef and failed quite spectacularly. I think, above all, this huge structure of overwhelming aspiration has taught us a great deal of humility. 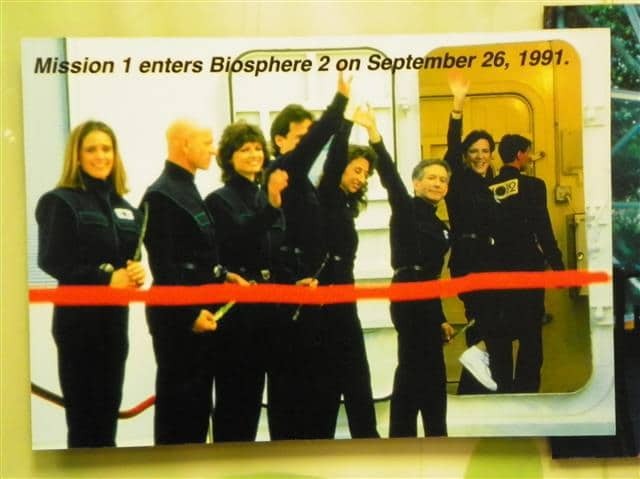 My favourite story — octopi (I prefer this to octopuses, say what you will) had smuggled themselves into Biosphere II hidden in the coral, and emerged to hunt at night. It took some time before staff realised why the other inhabitants of the ocean habitat were disappearing. Algae has essentially now taken over — this bears some relation to the actual situation of our reefs — and these bare rocks and scummy windows stand as a reminder of how we have no idea to recreate all the things we destroy. We are very far from any possibility of survival on another planet. 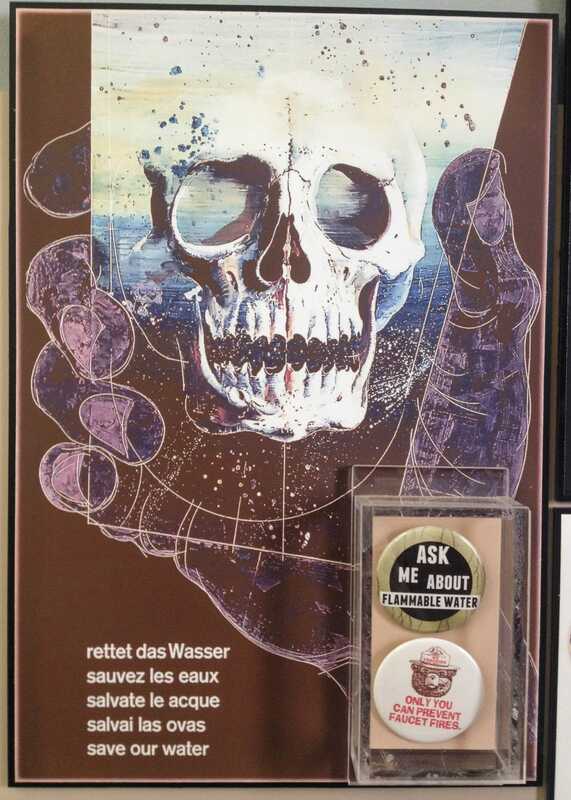 Best we take care of this one — Biosphere I — and so it is scary to me that the words ‘climate change’ or ‘global warming’ were rarely mentioned here in either videos or displays, though they serve as a focus for all of the research. It showed just what scientists have to do in the face of denial from the highest levels, and that’s only going to get worse.